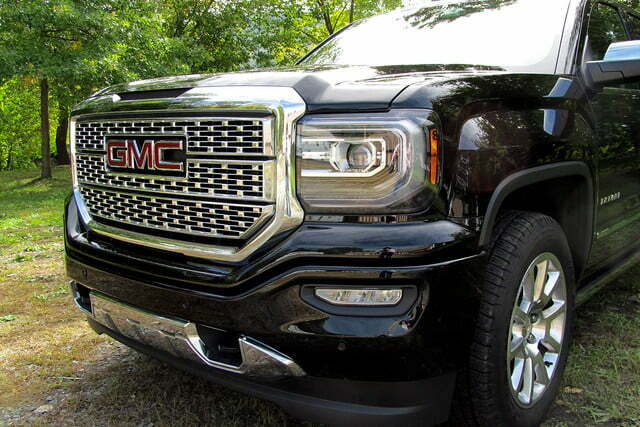 The 2016 GMC Sierra 1500 Denali trashes truck stereotypes with upscale styling and ample technology. The full-size pickup truck segment is one of the most competitive in the industry, and GMC has always had to contend with friendly fire. 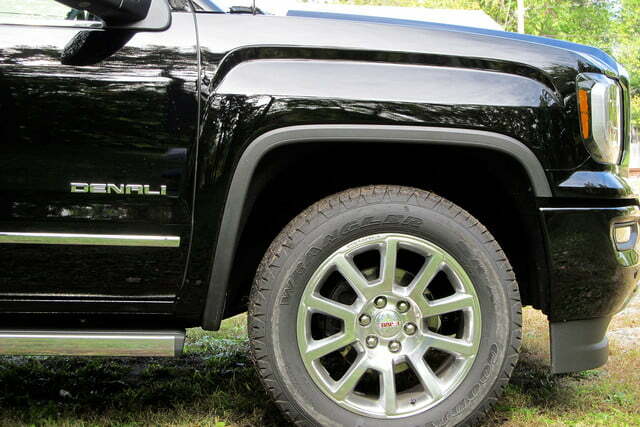 The differences between Chevrolet and GMC trucks used to be minimal, but GMC is trying to set itself apart with a heavier emphasis on styling, and continued efforts to push itself upmarket from mainstream Chevy. 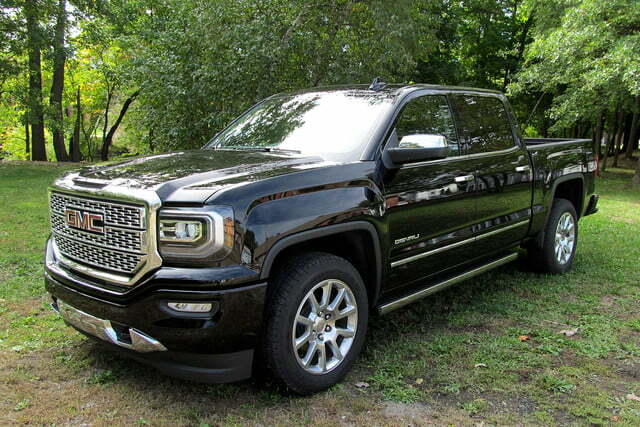 All of that is pretty apparent in the 2016 GMC Sierra 1500 Denali, flagship model of the brand’s half-ton truck line, and part of a heavily-refreshed 2016 Sierra lineup. General Motors previously tried to distinguish Chevrolet and GMC by positioning the latter as a more upscale brand. 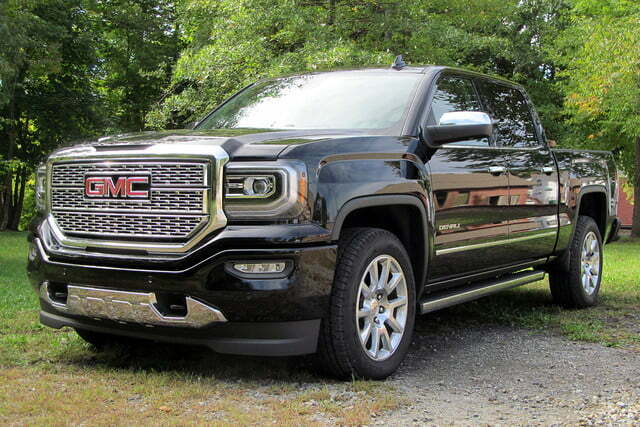 While that’s still in force, GMC is also trying to use design to set it apart from its sibling brand, and the rest of the full-size truck herd. 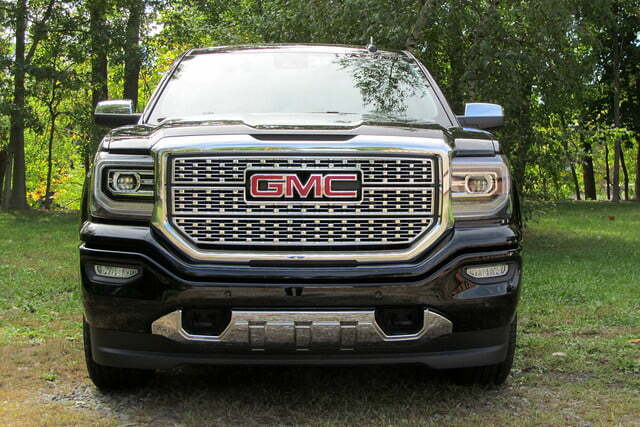 Exterior design is the top reason why consumers choose a GMC, the company says. The new, square-jawed fascia works nicely with the parts of the truck that haven’t changed. 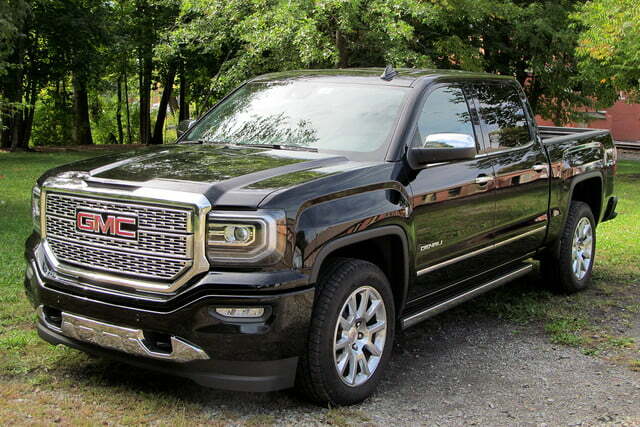 So while the Sierra was all-new for 2014, GMC gave it a pretty significant facelift for 2016. All models get new grilles and headlights, and the Denali features an updated version of the model-signature chrome grille mesh. 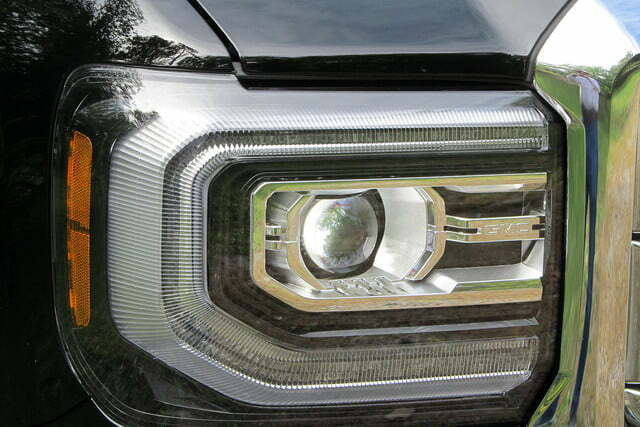 It also gets all LED headlights, taillights, and fog lights, although all Sierra models get at least some LED lighting. The new, square-jawed fascia works nicely with the parts of the truck that haven’t changed, and makes a much bigger impact than the relatively mild changes made to the Sierra’s Silverado sibling. 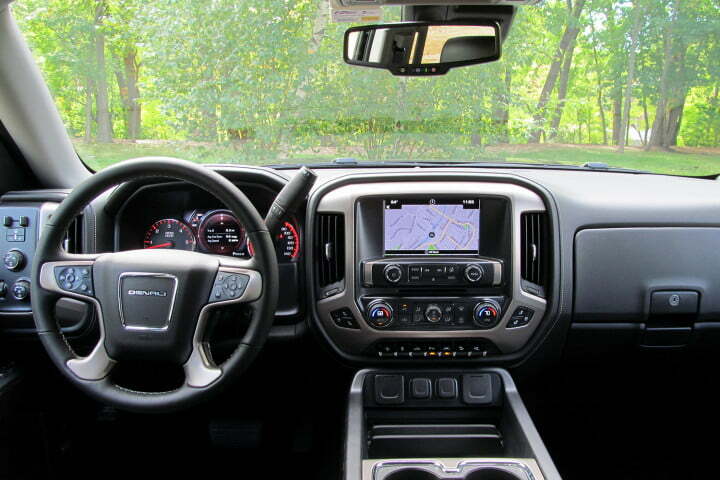 The interior is certainly a nice place to be, and the design is much more tasteful than that of the top Chevy Silverado, the High Country. It’s far from Spartan and, thankfully, it’s not the kind of atmosphere that demands a cowboy hat. However, the Denali interior didn’t feel that much more luxurious than those of some of the midlevel Sierra models that were also on hand for this test drive. The Denali does get all of the gadgets, though. New for 2016 are power running boards that also articulate rearward to provide easier access to the front of the bed. In place of the analog gauge pack and small digital display that’s standard on most models, the Denali also gets an 8.0-inch display situated between the standard analog speedometer and tachometer. This shows things like trip and navigation information, vehicle diagnostics, and speed and mileage readouts. Like most GM vehicles, the Sierra Denali comes with a 4G LTE system, including a Wi-Fi hotspot that can support up to seven devices. Wireless phone charging is also standard on the Denali (it’s optional on the SLE and SLT models when equipped with front bucket seats), making good use of the massive expanse of space on top of the center console. To give customers’ phones something to do besides charge, GMC is also in the process of rolling out Apple CarPlay and Android Auto. Both systems debut across the majority of the GMC lineup for 2016. At launch, only lower-level Sierra models equipped with the 7.0-inch touchscreen infotainment system will offer either the Apple or Google option. Models with the 8.0-inch system—which GMC expects to be more popular—will launch with CarPlay only, and get Android Auto through a software update in March 2016. 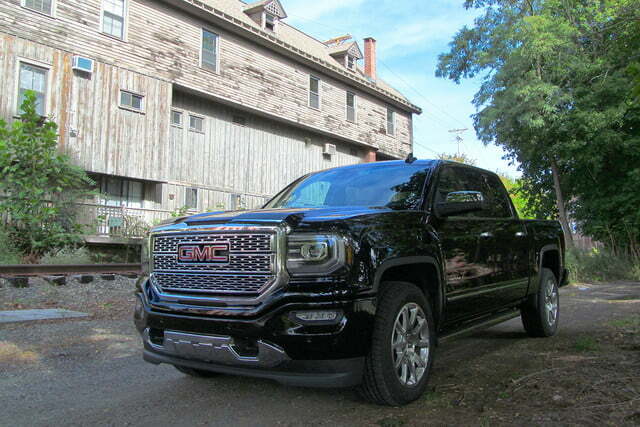 The Sierra Denali comes standard with a 5.3-liter V8, producing 355 horsepower and 383 pound-feet of torque, but we grabbed a truck equipped with the optional 6.2-liter V8 for a drive around New York’s scenic Hudson Valley. With 420 hp and 460 lb-ft feet, the 6.2 is appreciably more muscular than the 5.3, but what really sets the two engines apart is their behavior. The smaller isn’t exactly lacking in power, and had no trouble propelling a Sierra SLT model we drove for comparison with urgency. What makes the 6.2-liter engine so satisfying is how available the power is; once you get going, it seems like only a slight flex of your right toes is required to maintain momentum. An added perk of the larger engine used to be that it came paired with GM’s eight-speed automatic transmission, but now that smooth-shifting gearbox is also available with the 5.3-liter engine. Unless you really need its extra towing capacity, it’s hard to call the 6.2-liter V8 necessary, but it’s a worthy indulgence. Be sure to factor in high fuel bills, too, as the Sierra Denali is a thirsty truck with either engine. 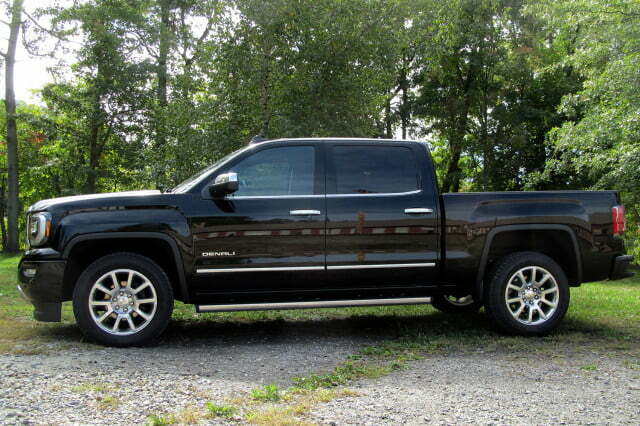 It may be a pickup truck, but with a base price approaching $60,000, the Sierra 1500 Denali sits in some fairly high-end territory. From behind the wheel, it does a fairly good job of living up to that price tag. 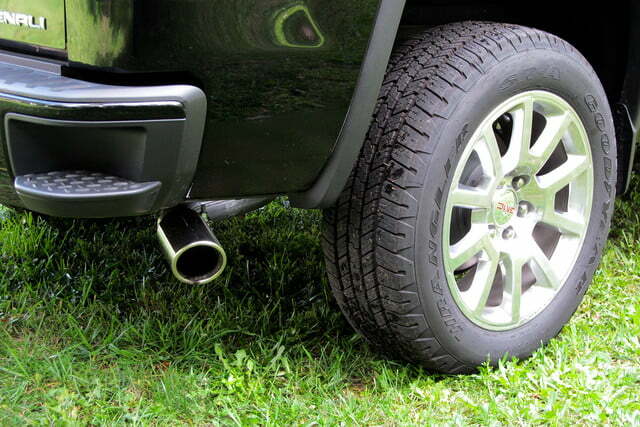 Noise, vibration, and harshness are toned down, and the Denali’s magnetorheological dampers make an appreciable difference in ride quality. A feature formerly reserved for Corvettes and Cadillacs, the system can rapidly adjust stiffness using an electric current run through fluid filled with metallic filings. Pickup trucks and luxury cars used to be as far apart as Democrats and Republicans, but that distance has shrunk considerably over the past couple of decades. 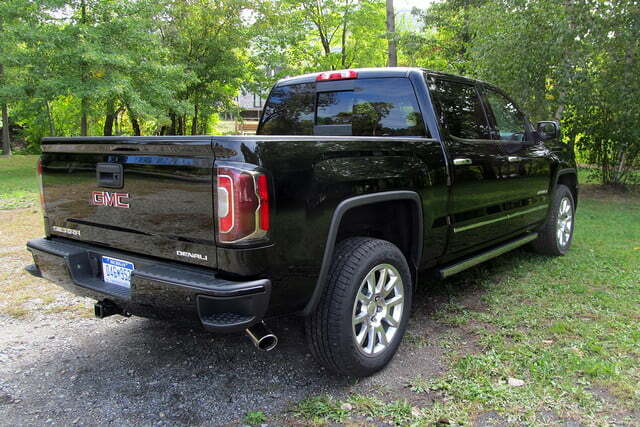 The 2016 GMC Sierra 1500 Denali is a clear example of that trend. It boasts all of the tech and convenience features of the average car or crossover, but you’ll never forget that it’s a full-size truck.